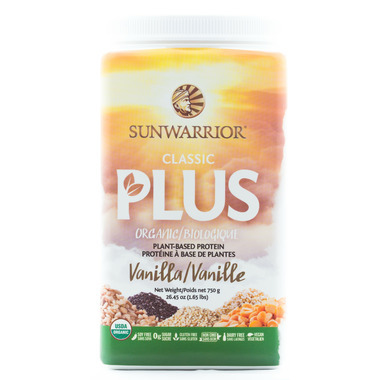 Sunwarrior Classic Plus Protein builds on their original rice protein by adding in the amino acid balancing effects of peas, chia seeds, quinoa, and amaranth. This superfood combination still relies heavily on the gentle nature of whole-grain brown rice, but with a hefty dose of the strength that has made Warrior Blend so popular. Directions: Mix, shake, or blend protein powder with your favorite beverage. Once you master the beverage, try adding fruit, greens, superfoods, boosters, spices, ice, and more to make smoothies that are as unique, delicious, and super swanky as you are. 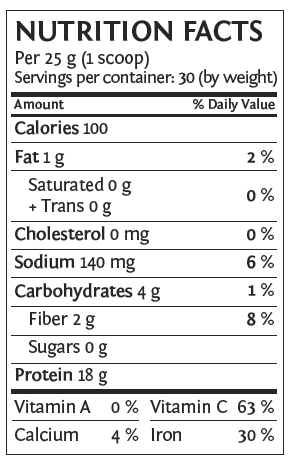 You use only one scoop to get 1/2 a days protein. Excellent ingredients, organic and the vanilla flavour added to some fruit tastes awesome. Will definitely repurchase.